GAUSS will first look in your current working directory for myfile.gss or myprocs.src. If they are not found, GAUSS will then search the folders in the SRC_PATH. How can I find my current SRC_PATH? You can see which folders are in your SRC_PATH in the Library Tool by following these steps. Open the Library Tool (View > Library Tool). Expand the Paths node and the Sources node. The last two folders from the full path are shown. Hover your mouse over one of the paths to see all folders in the path. Alternatively, you can use the sysstate command to print out a semi-colon separated list of paths. The above command will return something similar to one of the following. You can also use the sysstate command to modify your SRC_PATH. Instead of passing in a zero for the second argument, pass in the new SRC_PATH. Since the SRC_PATH folders are searched in order, adding a new path to the front of the list means that it will be searched first (after the current working directory). This new SRC_PATH will be in effect until it is reset or until GAUSS is restarted. 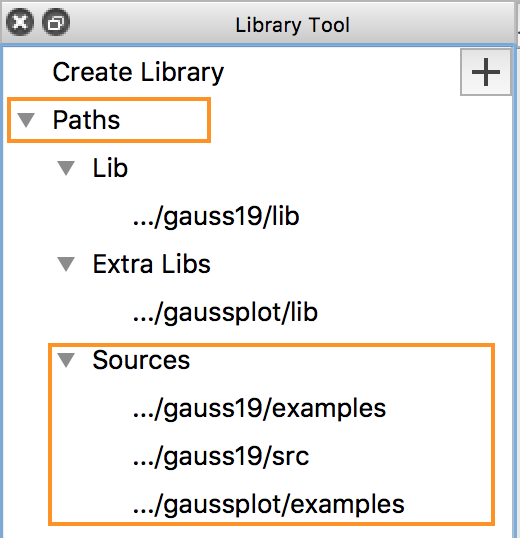 When GAUSS starts up, the SRC_PATH is initially set from the contents of the gauss.cfg file. 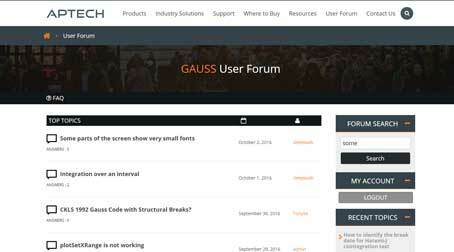 The gauss.cfg file is located in the GAUSSHOME directory. The line which controls the SRC_PATH will look something like this. In the line above, $(GAUSSDIR) means your GAUSSHOME directory. In the code below, we add the same path from our earlier sysstate example to the front of the SRC_PATH. Since this file is read every time that GAUSS starts, this is a more permanent solution. The SRC_PATH is a list of file paths that GAUSS searches when looking for files to run or open. The current SRC_PATH can be found by looking in the Library Tool, or using the sysstate command. The SRC_PATH can be modified with the sysstate command or by editing the gauss.cfg file.